Wing Chun is sometimes spelled in other ways for example Ving Tsun. 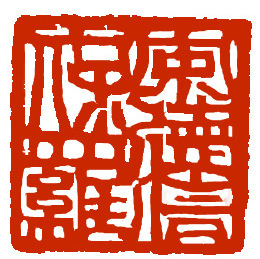 It originated in China and combines both physical and mental Martial art training. It became famous because the late Bruce Lee practised this style under Yip Man. It is also popular for being a very practical form of self defence, now practised all over the world by men and women of all ages. 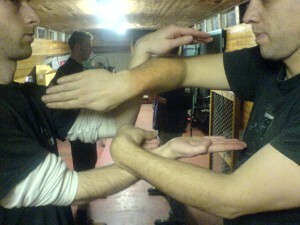 There are numerous benefits that come from practising Wing Chun; some are obvious and others more subtle. Benefits include: increased confidence and self-esteem, increased attention span and ability to stay focused, improved health and fitness, stress relief, improved ability to cooperate with others, an ability to think laterally and to problem solve, improved patience. 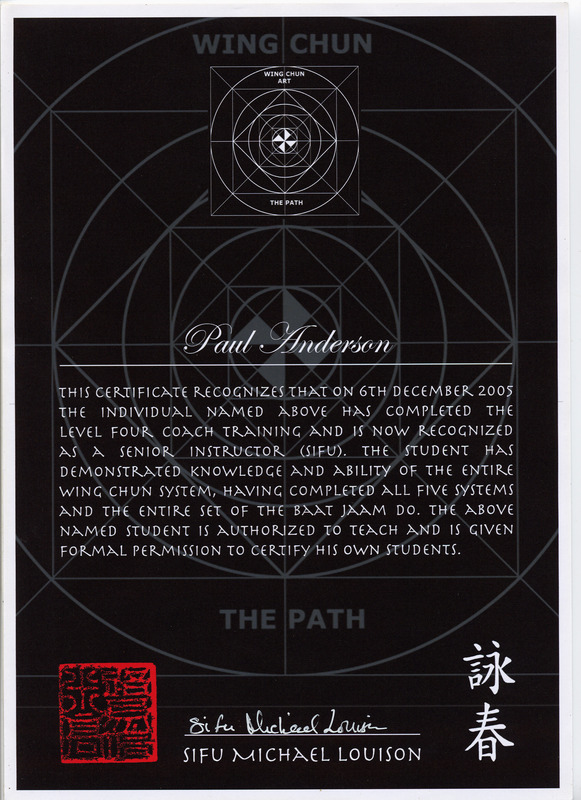 Paul Anderson completed the Wing Chun System and was certificated to teach as a senior Instructor [sifu] by Sifu Michael Louison in 2005. Paul is recognised as a chief Instructor by the BCCMA. This is the governing body for Chinese Martial Art here in Britain. It is recognised by Sport England / Sports Council. 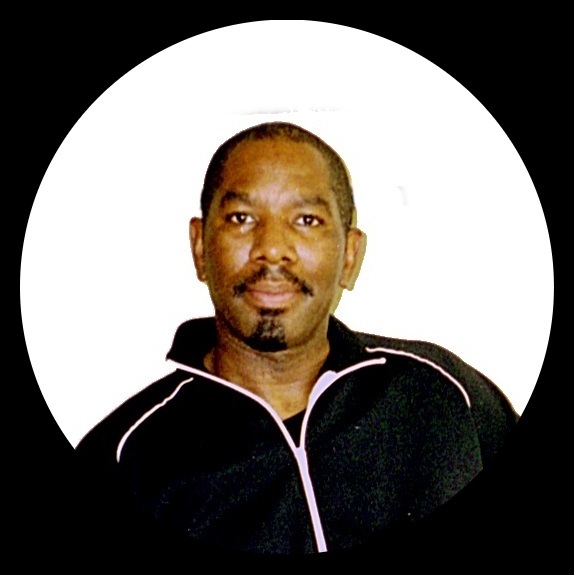 Paul is also an experienced, managing Director of a charity for water sports and is a qualified instructor/coach in seven disciplines, but his real passion has always been Wing Chun. 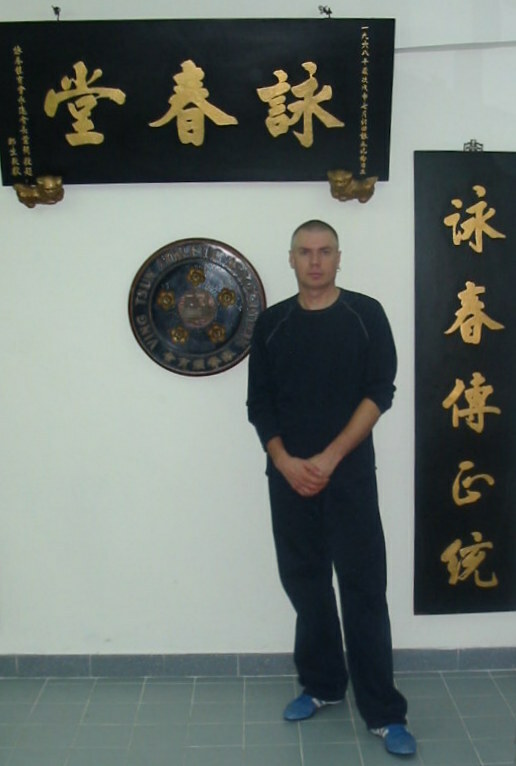 Paul has now successfully run his own Wing Chun School for over 10 years teaching both adults and young people in North London and now Bristol. For over 15 years he has also taught outward bound activities including kayaking, sailing and power boating. He is a qualified team leader for both the Prince’s Trust and Duke of Edinburgh Award. This experience combined with his post graduate degree gives him a specialised knowledge of how to ensure each individual person reaches his/her full potential and develops a high level of skill in the art of Wing Chun. All our qualified Instructors hold an enhanced DBS/CRB check, current First Aid and are Child Protection trained. All activities are covered by Insurance and fully risk assessed.